Community Alliance for Positive Solutions Inc.
Star.is – State sponsored slander website – removed in 2004 by Athygli when it was campaigned against by NatureWatch!!! Reykjavik Energy (Orkuveita Reykjavikur) – Second only to Landsvirkjun as dedicated Icelandic enemies of nature. They should be providing fair priced energy for the people they are meant to serve but not for shady foreign corporations. Altech – Yet another nest of Iceland fat cat technocrats deeply involved in the aluminium feeding frenzy. Getting very possessive about Þorlákshöfn where they want to build a “greenfield” greenhouse… ehhhrrmmm… actually, an aluminum smelter. Rio Tinto-ALCAN Isal – Pechiney – Langisjor, one of Europe’s most beautiful lakes, is to be sacrificed for the expansion of Rio Tinto-ALCAN in Iceland. Thjorsa river and the Ramsar listed wetlands Thjorsarver are also on their hit list. Bechtel – The Iraq warprofiteers who are building the ALCOA factory. Specialize in building unsafe nuclear reactors. A merging of Prime Killers of Icelandic nature. Where ever there are plans for heavy inustry this nest of technocrats are bound to be involved. Hönnun have merged into HRV. Heavily involved with ALCOA and Bechtel. Beware: A particularly volatile and physically violent office boss at their branch in Reyðarfjördur. Armed with a planning permission these fat cats are still licking their lips at the prospects of erecting a highly polluting (oil driven) anode rod plant at Katanes, Hvalfjordur, servicing all the present and planned smelters in the south west. A potential environmental disaster in waiting. Already fund the notorious Narmada dam project in India ï’ and have played a ‘key role’ in financing the dam by arranging a $400 million loan to Landsvirkjun, the Icelandic power company that will run the dam. Dodgy Italian construction conglomerate, in charge of building most of the dam . One of Impregilo’s consultants has already been found guilty in 2003 of offering bribes to a Lesotho hydro-electric firm, and the company itself will face another hearing before the Lesotho courts in April 2005. 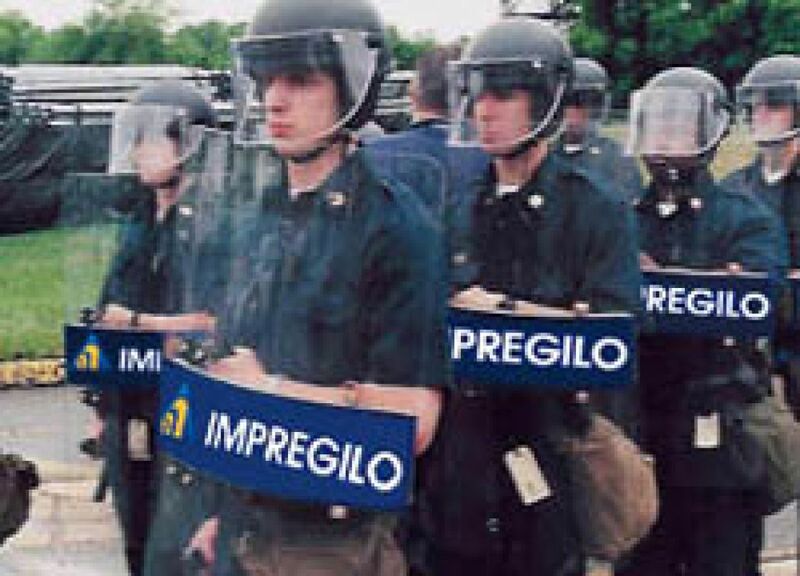 Impregilo were also involved in building the Argentina’s Yacyreta dam, which went almost $10 million over budget and was labeled byPresident Carlos Menem ‘a monument to corruption’ . Impregilo were also one of the firms planning to build the infamous Ilisu dam. Part of the Icelandic Ministry of Industry and Commerce. Promotes investment in Iceland, and seem to be one of the quasi-governmental agencies that has been pushing for the hydro dam. The US company that will run the aluminium smelter. Alcoa is the world’s largest producer of aluminium, serves the most industries as well as producing ‘bacofoil’. It is very influential in US as well as Icelandic poltics: Ethical Consumer described Alcoa’s operations as ‘a near textbook example of how to win friends in high places’, counting the US Treasury Secretary, Paul O ï’ Neill, as one of its former CEOs. While a major polluter, Alcoa undertakes greenwashing exercises such as the ‘Alcoa forest’ project, which claims to plant ‘ten million trees’. However, in Western Australia Alcoa have simply planted trees on top of the blasted and mined remains of former forest land; the new growth cannot compensate for the loss old eco-system, resulting in substantial erosion of topsoil. The civil engineering company that designed the Newbury Bypass and the destruction of Twyford Down. Mott McDonald have also designed power stations for Indonesian dictator Suharto and airstrips in Iraq under Saddam, and was also involved in the Baku-Ceyhan pipeline. Alcoa first established a presence in Belgium in 1992, and today we operate three businesses that serve the aerospace, automotive, commercial transportation and industrial markets in Belgium and throughout Europe. Alcoa International Service Center (AISC) offers value-added logistic and production services for a wide range of Alcoa aerospace products, including plate, sheet, extrusions, rods, tubes and coils. Alcoa Wheel Products Europe is the European headquarters for Alcoa’s forged aluminum wheels for heavy-duty commercial vehicles like trucks and buses. In addition, Alcoa Fujikura Belgium’s customer service center supplies cable looms and production and engineering services to leading automotive customers. Providing the automotive market with innovative products, Alcoa Fujikura Ltd (AFL) is Alcoa’s major presence in the Czech Republic. From a production facility in Stribro, AFL manufacturers wiring harness systems for automotive customers throughout Europe. By combining this local presence with Alcoa’s global resources, we provide customers with leading-edge technology, expertise and integrated solutions for a wide range of products. Alcoa, the world’s leading aluminum producer, provides innovative solutions for customers throughout Denmark. We are active in every important facet of the European aluminum industry, from refining and smelting to fabricating, recycling and other related businesses. Our extensive European network of production and commercial facilities combined with our global resources provides customers with leading-edge technology, expertise and integrated solutions for a wide range of products. Alcoa first established a production presence in Germany in 1971 and today has 10 facilities located throughout the country that produce innovative products for Germany’s major markets. These facilities produce closures, packaging machinery, automotive components, alumina, electrical distribution and cable systems, aluminium ingot and more for customers. One of our German facilities also manufactures sub-assemblies for the first all-aluminum spaceframe carï’the Audi A8. Alcoa Extrusions Hannover GmbH & Co.
Alcoa currently has 14 production centers scattered across various communities in Spain. ALCOA are the main aluminum manufacturer in Spain, the sole producer of aluminum oxide and primary aluminum and the main manufacturer of rolled products made from this material. From an initial presence in France more than two decades ago, Alcoa now has facilities and offices in six cities to serve French customers in the aerospace, alumina and chemicals, commercial transportation, building and construction and industrial markets. These facilities produce technologically advanced products that include aluminum sheet and plate, aluminum architectural products and systems, fasteners and fastener installation systems, structural castings, turbine engine components and aircraft frame components. Alcoa has been in Italy for almost 35 years. With the 1996 acquisition of Alumix, we have ten operating locations in Northern and Central Italy, plus Sardinia. This extensive network ensures that Italian markets primarily get goods manufactured in Italy. If required, products from the worldwide Alcoa production system are also quickly available. Alcoa employs over 2,500 people in Italy. Alcoa has been active in the Netherlands since 1967. Alcoa’s joint venture with Elkem and Lips, begun in 1968, is now Alcoa Nederland B.V., an aluminium business that became 100% owned by Alcoa in 1989. With manufacturing facilities in Raamsdonksveer, Drunen, Harderwijk and Kerkrade, Alcoa provides innovative products and solutions to customers in the aluminium ingot, automotive, commercial transportation, building and construction, packaging and industrial markets. Our products produced in The Netherlands include extrusions, architectural systems, building products, packging, ingot and end products like greenhouse systems, light poles and flagpoles. Alcoa established a presence in Norway through a 1962 partnership with Elkem ASA to form Elkem Aluminium ANS. Today, Elkem Aluminium ANS is Norway’s second largest producer of primary aluminum, operating smelters in Mosjï’en and Lista to serve the European aluminum ingot market. Alcoa Automotive Castings, established in 1995 in Lista, produces wheel suspension components for leading European automakers. By combining this local presence with Alcoa’s global resources, we provide customers with leading-edge technology, expertise and integrated solutions for a wide range of products. Providing the automotive market with innovative products, Alcoa Fujikura Portugal (AFP) is Alcoa’s major presence in this country. From a production facility in Aldeia de Paio Pires close to Lisbon, AFP manufactures wiring harness systems for automotive customer VW-AutoEuropa, also located in Portugal. By combining this local presence with Alcoa’s global resources, we provide customers with leading-edge technology, expertise and integrated solutions for a wide range of products. For more than four decades, Alcoa has had a continuous presence in Switzerland. The Geneva Lake area is home to Alcoa Europe, which oversees our four main aluminum businesses in Europeï’Primary Metals, Extrusions and End Products, Flat Rolled Products and Building and Construction Systems. These businesses provide customers with leading-edge technology and products for the aerospace, commercial transportation, building and construction and industrial markets. They are backed up with a sales and administrative office that provides resources to Alcoa businesses throughout Europe. Alcoa’s first presence in the United Kingdom was in the late 1950s with a rolling and extrusion mill in Swansea, Wales. Today, we have more than 22 locations throughout England, Wales and Ireland that serve the needs of Europe’s aerospace, aluminum ingot, commercial transportation, industrial and packaging and consumer goods markets. Our products range from flat rolled sheet for the beverage industry to super alloys and advanced components for aerospace and gas turbine engines. One of our more recognizable U.K. businesses is Baco Consumer Products, a leading supplier of household wraps. The warprofiteers who build the smelter for Alcoa. I am afraid that you are on a wrong path. Kárahnjíkavirkjun is a good project. You better look around your self in your homeland. You know nothing about our country or our land. I´m afraid that you Ingólfur are ignorant, if not that, then just plain stupid! 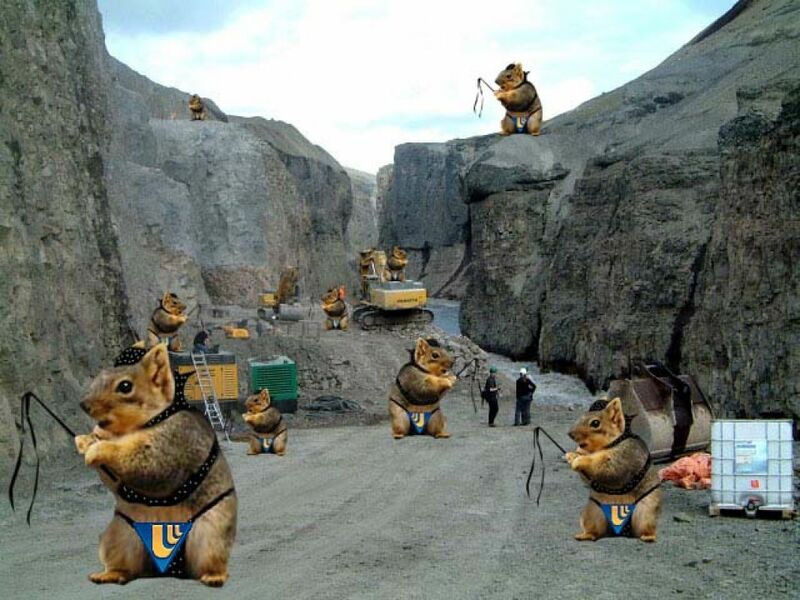 The Kárahnjúkar project is a sin. Our children will condemn us for it. If you just think for a moment, you will realise your error in logic thinking. I’m Icelandic and I know my country, and I know the area that will be flooded. Let me guess, you’ve never been there, you don´t even care. I’m not Icelandic and I was born in Brazil but I’m really sad about Kárahnjúkar project. It really cuts my heart to see that incredible and beautiful area go away because of an irresponsable american multinational. I spent my holidays there enjoying your country’s beauty and I’m sorry for that… I’m also sorry that some icelanders aprove it. Tell me if I can help in anything and I’ll be glad to help you even in distance. Whoa, let’s not drop down to childish name-calling and personal insults, shall we? Calling him stupid, whether he is or not, does not automatically make you right; rather than making the reader question your ability to make an actual argument. I mean no offense here, and apologize if it does offend, I’m just trying to share my point of view. I don’t agree with the idea of it being a sin, that our children will condemn us for it and that if I’d think for a moment, I’d realise the error in my logic thinking. I DO however agree on that Kárahnjúkavirkjun is a bad idea, from a financial AND natural point of view. Financially, it’s doomed to fail. Environmentally, it’s a needless waste of Icelandic nature, for a project doomed to fail. I’m only posting this, because I found your post to be counter-productive. If all protestors of Kárahnjúkavirkjun would drop so low as to simply call those in charge ‘stupid’ or ‘killers’, the protests would be horrible failures! You can’t demand that they think logically, if you can not, right? Remove the splinter out of your own eye, before you point out the grain of sand in another’s eye. Right? I too am Icelandic, and I know the area will most likely be flooded. I haven’t been there and to be honest, I don’t really care all that much about it. But I do care for our economy and our environment, and thus I would be much pleased if they wouldn’t flood the area, and Kárahnjúkavirkjun would give up. Hi, I´m german and I flew over the area that shall be flooded. It is virtually the most boring piece of nature that I have ever seen. Not even trees are willing to grow there. Whereelse in the world than here should an invisible (!) renewable energyplant (no CO2!) and a wonderful new lake be placed? In the city of London, Stockholm or Berlin? Or any other agriculturally used area in Europe? You guys that loved the place in summer – have you ever been here during wintertimes? Only snow and no light for 6 months. My god – good people – wake up and stop dreaming! I´ve also seen this ridiculous anti-dam camp and I had the feeling here are some people enjoying and misusing the stupidity of donating people in order to have a nice time there at the cost for nothing. I don´t want to provoque – but I´d like to encourage you to be alarmed about people that have low knowledge and that are misguiding others for their own sake. Realistic, my arse, Rudi. Your post is a troll. Let us not feed it. So Rudi, then we know that if trees don’t “want to grow” on some land the land must be ugly and the best option would be to drown it! Then, according to your attitude, 99% of Iceland (which has no forests at all) must be VERY ugly and should preferably, like Kárahnjúkar, be drowned to fuel the aluminium factories of the military industrial complex. Or just sunk as a whole. It has no trees, death to it! Rudi, what are you, a German, doing in Iceland, if it’s not for enjoying beautiful landscape? Rudi, you pose as if you hold more than “low knowledge”. Did you know that “wonderful” reservoirs create more greenhouse gasses than many fossil fuel plants? And did you know that the dams at Kárahnjúkar will gradually fill up with glacial sediment in a matter of decades and as a result will be rendered useless? Is that what you call “renevable”? Explain please. Perhaps you could also explain how the photographs (on this website) from the Kárahnjúkar area that you call ugly are not beautiful. Could it be that your sense of beauty is dictated by money or politics? You say you also went to the protest camp. But wait a moment Rudi, if this land struck you as so ugly from an aeroplane why on earth did you bother to travel also by land, all the way deep into the interior!? What were you doing in the protest camp? Did you demand passports from the people who were there? Did you perhaps interrogate them? If not, how do you know if they don’t have jobs? Rudi, your ways are mysterious. How comes you say you know what it is like there in winter? So you’ve been there in the winter!? Really Rudi, what were you doing at Kárahnjúkar in the winter? Do YOU have a job in another type of camp at Kárahnjúkar, a work camp? A job working perhaps for one of the several German companies who are taking active part in the vandalisation of Icelandic nature? Rudi, wherever you are from, hypocrite. Do us all a big favour, piss off from Iceland and never show your dishonest technocrat mug here again! Hey, I’m not sure what all this Iceland stuff is about, I’m just a poor university professor who also happens to be on the Trilateral Commission and Chairman of the Impregilo Group. Please let me know what it is that my company is supposed to be doing. i was on this part of iceland too in summer and in wintertime and it is such a wild and untouched nature there just wounderful-for me it is the most beautiful place on earth-i am even thinking on moving there if i find a job..
by the way(when you wanna talk about ugly places)-berlin ist the ugliest stinkiest place on earth-i have been there too.. I agree with the others that replied to this post – I’ve been to Iceland and have been in that area both during the Summer and during the winter. It was beautiful, un-touched landscape…a place we should be fighting to save, one of the places in the World that we haven’t yet destroyed just for profit. I spent a lot of money last year getting to and surviving at the camp – if I have the money to look after myself, I won’t take any from others…and I do have a job, so you shouldn’t make assumptions about protesters. Just because an area looks “boring” (from a plane I notice you wrote) it doesn’t justify destroying it! And if you’ve ever seen an Icelandic tree, you’ll realise that you probably couldn’t even see one from a plane. So saying that trees aren’t even willing to grow in the area is stupid – they’re only about a metre high, how would you know there are none there?? Anyway, now the Karahnjukar area is gone, we must fight to save the rest of Iceland from people only bothered about profits and companies. It’s one of the only places left un-tampered with and we need to save it. I realise that this post is now nearly 2 years old, but I’ve only just read it and wanted to reply anyway.